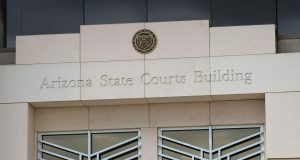 A new sentencing date has been set for a man who admitted working as a straw buyer for a gun smuggling ring that was monitored in the government’s botched investigation known as Operation Fast and Furious. Dejan Hercegovac is scheduled to be sentenced Dec. 12 by U.S. District Judge James Teilborg. He has pleaded guilty to a charge of conspiracy. Hercegovac admitted buying 31 guns for the ring and saying that the guns were for him when he was actually making the purchases on behalf of the ring.